Background/Purpose: Rheumatoid arthritis patients positive for rheumatoid factor (RF) or anti-cyclic citrullinated peptide antibody (ACPA) are considered to manifest an aggressive disease course compared with seronegative RA patients. On the other hand, the relationship between seropositivity and measures of disease severity other than radiologic outcome is disputed. Recently, the comparison of disease characteristics of seropositive versus seronegative DMARD-naïve patients showed that seronegative patients had higher levels of inflammation as assessed clinically and by ultrasound , and manifested more active disease at baseline . We aimed to compare the clinical features of seronegative and seropositive patients screened to participate in the ongoing Phase IIb trial of CR6086 in DMARD-naïve patients with early RA. Methods: We used blinded data from the ongoing trial with the EP4 receptor antagonist CR6086 in early rheumatoid arthritis, DMARD-naïve patients (the CREATIVE study). This is a randomized, placebo-controlled, double-blind, dose response, Phase IIb, multicentre trial of CR6086 administered for 12 weeks in combination with methotrexate (NCT03163966). All DMARDs-naïve patients with early RA (disease duration < 1 year) who fulfilled the 2010 ACR/EULAR classification criteria were included in the analysis, regardless of whether they were actually randomized in the trial. Demographic and disease characteristics at enrolment were compared between seropositive (RF+ and or ACPA+) and seronegative patients (RF- and ACPA-) using independent samples t test or Chi-square test, as applicable. Results: A total of 257 patients could be included in the analysis, and 44 patients (17%) were seronegative. Age, gender distribution and disease duration were similar between groups (overall mean age 52.4 years, 77% females and mean disease duration 7 months). Joint counts at enrolment were significantly higher in the seronegative patients compared to seropositive patients (68-tender joint count: 29±16 vs. 20±11 P=0.002; 66-swollen joint count: 18±12 vs. 13±7 P=0.009), whereas DAS28, CRP, ESR, patient’s arthritis pain, patient’s and physician’s global assessment of arthritis did not differ significantly between the two subsets of patients. Conclusion: Among the newly diagnosed RA patients screened to participate in the ongoing Phase IIb trial with CR6086, seronegative patients have higher disease activity compared to seropositive patients, as assessed by tender and swollen joint counts. These results are in line with recent literature and may be influenced by the role of serology within the 2010 ACR/EULAR classification criteria, in that more involved joints are required for seronegative patients to fulfil the criteria. Nordberg LB et al. Ann Rheum Dis. 2017; 76:341–345. Choi S-T, Lee K-H. 2018; PLoS ONE 13(4): e0195550. Disclosure: G. Giacovelli, Rottapharm Biotech, 3; B. Barbetta, Rottapharm Biotech, 3; C. Vitalini, Rottapharm Biotech, 3; N. Brambilla, Rottapharm Biotech, 3; M. D'Amato, Rottapharm Biotech, 3; F. Girolami, Rottapharm Biotech, 3; L. C. Rovati, Rottapharm Biotech, 3. Giacovelli G, Barbetta B, Vitalini C, Brambilla N, D'Amato M, Girolami F, Rovati LC. Comparison of Clinical Features of Seronegative and Seropositive Early Rheumatoid Arthritis: Blinded Data from the Ongoing Phase IIb Trial with the EP4 Receptor Antagonist CR6086 in DMARD-Naïve Patients [abstract]. Arthritis Rheumatol. 2018; 70 (suppl 10). 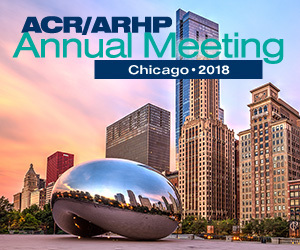 https://acrabstracts.org/abstract/comparison-of-clinical-features-of-seronegative-and-seropositive-early-rheumatoid-arthritis-blinded-data-from-the-ongoing-phase-iib-trial-with-the-ep4-receptor-antagonist-cr6086-in-dmard-naive-patien/. Accessed April 22, 2019.